This summer, my favorite part about being a senior counselor has been girls from summers’ past coming back and staying in my cabin. It has been so precious to go deeper with returning campers that I already have such a deep connection and trust with. During Student Camp 1 I had one specific camper whom I love so dearly and had kept in touch with all year. 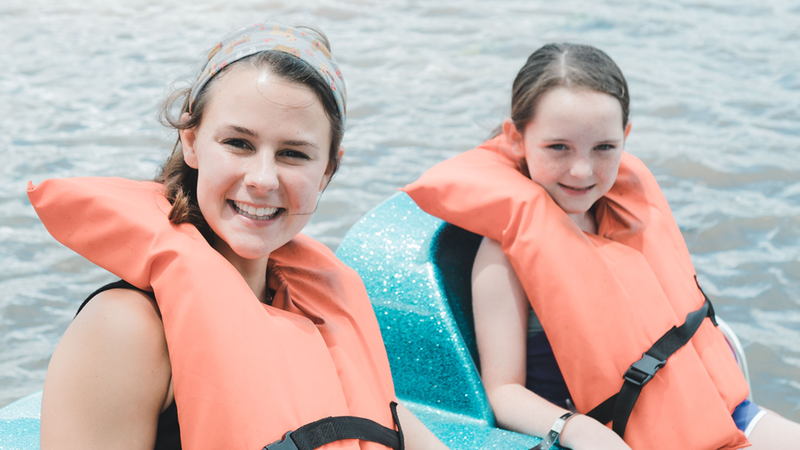 At the beginning of our one-on-one she said, “honestly EmJack, I did not want to come to camp this summer because I did not want to disappoint you because I feel like I have already disappointed everyone and I know you love me and think so highly of me.” It crushed me. Jesus just gave me His heart in that moment. I felt so deeply that there is nothing that she could ever do or say to make me love her any less. The Father’s heart for her is that there is absolutely nothing that could separate her from His love and when He looks at her He does not see her sin, but He sees Jesus. She is fully cleansed by the blood of the lamb and made new. We began to read the parable of the prodigal son about how the son was recklessly living and God just kept speaking to me, “While you were recklessly living, I was recklessly loving.” We talked about how while the son was still far off the father ran and embraced his son with a kiss and celebrated him coming back to the father. I love that. As I got to encourage her in this truth, Jesus was so sweetly singing this truth over me. There is nothing you can do to separate yourself from the love of the Father. I have never felt the love of the Father so deeply for another human before and I experienced a sweet taste of how the Father sees me and knows me and loves me.